Having a quiet dinner on the patio? Enjoying some relaxing family time on the deck? 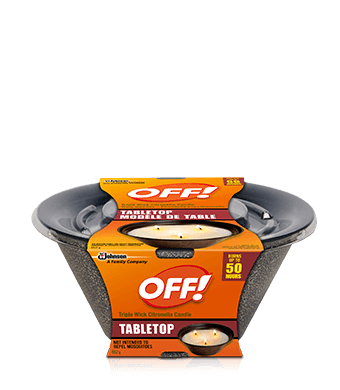 The OFF!® Citronella Candle is the perfect piece to enhance the ambiance of your outdoor occasions. The subtle glow of the candle keeps your nights peaceful and fun.